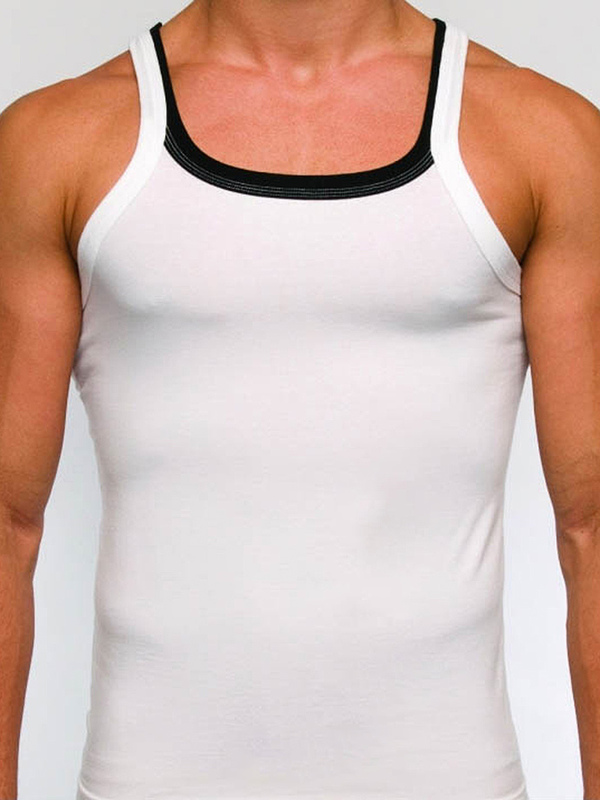 Slim fit, white tank top with black details. A modern design for an alternative tank top. Modus Vivendi - Greek Tanktop - A..
Modus Vivendi - Broaded T-Shirt -..
Modus Vivendi - Active Tanktop - ..
Modus Vivendi - Broaded Tanktop -..
Modus Vivendi - Groom Track Vest ..